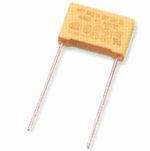 We sell high voltage capacitors and resistors for vintage tube radios / electronics. We also carry schematic diagrams and electronic circuit service information for American, Canadian and European vintage tube radios / electronics. We specialize in high voltage capacitors and resistors for tube radios / electronics. We sell high voltage film capacitors, high voltage electrolytic capacitors, silver mica capacitors and AC-rated line filter safety capacitors for tube electronics. We carry 630 volt & 1600 volt Orange Dips and 630 volt, 1000 volt & 6000 volt tubular axial film capacitors. Also for sale are Electrolytic capacitors with long axial or radial leads and high working voltages, ideal for tube radio repairs and restorations. We also carry 500V clamp mount single and dual-section Can electrolytic capacitors with solder lugs. Safety / Interference Suppression and 500V & 1000V dipped silver mica capacitors are also on sale. Our product line includes 630V, 1000V and 6000V tubular metalized polypropylene and metalized polyester film capacitors with axial leads; 630 volt metal-foil polypropylene and metalized polyester orange dips; 630V polystyrene; 1600 volt metalized polypropylene orange dips; 500V & 1000V silver mica capacitors; 400 volt & 630 volt Mylar capacitors; 1600 volt ceramic disc capacitors; ceramic disc X1/Y2 AC rated safety capacitors, metalized polypropylene X2 (across-the-line) and metalized polyester Y2 (line-to ground) safety & interference suppression capacitors and radial, axial and can type electrolytic capacitors and capacitor clamps. 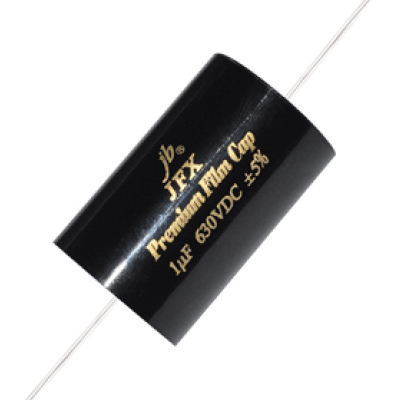 For our customers that work on "high-end" audio we carry 400V and 630V "jb JFX Premium Metallized Polypropylene Film Capacitors". These are for use in high-end audio/speaker/amplifier applications. JustRadios Capacitor Product Line has been specifically chosen for vintage tube radio / electronics applications. We carry "hard to find" pre WWII MFD/uF capacitor sizes so you can restore your radios to original factory specs. For your "precision test equipment and audio circuits" we carry 1% & 2% precision silver mica, 1% polystyrene and now 1% precision & 2% precision metallized polypropylene capacitors up to 2uF. For "audiophile" applications we now carry made in the USA Audience Auricap & Auricap XO Audiophile capacitors for speaker crossover, signal coupling, filtering and other audiophile applications. We also sell Capacitor Kits and Resistor Kits for tube electronics/radios. If you are new to antique tube radio restorations, here are some practical Capacitor Tips for the Beginner. Do you need a schematic diagram for your USA made antique radio. Good. We specialize in schematic diagrams and electronic circuit service information for old vintage tube radios. We carry schematics for American made Philco, RCA Victor, Zenith, Westinghouse, Motorola, Admiral, Emerson, General Electric / GE, Sparton, Stromberg-Carlson, Airline, Crosley, Emerson, etc. We carry complete pre-WWII Factory Service Information for brands such as RCA, GE General Electric, Crosley, Zenith, Philco and Motorola. Also, schematics and service data from Riders Troubleshooter's Manuals, Beitman Supreme Radio Diagrams, Gernsback Official Wiring Diagrams and Original Factory Service Manuals. Easy… email us 4 things …make, chassis and/or model number, approximate year and country where your old tube radio was made. We will let you know if we have schematic. Cost per schematic is $8.00 US. Constructed with metallized Polypropylene film as dielectric/electrode with long copper-clad steel leads and outer wrapping of polyester end sealed with epoxy resin. Non-inductivly wound. MFD/uF sizes available and $ Price List. Available in "hard to find" tube radio mfd/uF sizes such as 0.002uF, 0.005uF, etc. Excellent for use in tube radios, amps and hi-fi audio equipment where low dissipation / high insulation resistance and excellent long-term stability are desirable. Capacitance tolerance of +/- 10%. Precision 2% available for select sizes. Superior replacement for paper/wax capacitors in tube electronics. Constructed with Metalized Polyester film dielectric, copper-ply wire leads, outer wrapped with polyester film tape and ends sealed with epoxy resin, in non-inductive type. MFD/uF sizes available and $ Price List. Available in "hard to find" pre WWII sizes such as 0.02 MFD, 0.03 MFD, 0.04 MFD, 0.05 MFD, etc. Excellent for use in tube radios, amps, hi-fi, etc, where a premium quality capacitor with high stability and reliability are required. Also ideal for telecommunications, industrial and general electronics equipment. Non-inductive construction with Metalized Polypropelene film as dielectric, copper-clad steel leads, outer wrapped with polyester and ends sealed with epoxy resin. MFD/uF sizes available and $ Price List. Long life due to self-healing construction. Available in "hard to find" pre WWII sizes such as 0.002uF, 0.005uF, 0.02uF, 0.05uF, 0.5uF, etc. The 0.5uF 1600V is often needed for scope restorations. Excellent for use in tube based radios, amps, televisions, HiFi and test equipment where a premium quality capacitor with high stability and reliability are required. Also ideal for telecommunications, industrial and general electronics equipment. Made by ISO9001: 2000, ISO14001, TS16949, Greatwall, CCC, CE, MIC, SA, UL, FCC, TUV, SGS certified professional manufacturer. Constructed with non-inductive wound metalized polyester film with flame retardant tape wrap case and epoxy fill. Extra long axial leads. MFD/uF sizes available and $ Price List. Self-healing property, very high insulation resistance and lowest dissipation factor. Available sizes: 0.00047uF (470pF) at 15000 Volts and 0.001uF, 0.0022uF, 0.0033uF and 0.0047uF all at 6000 Volts. Applications include: HV filter, sweep circuits, vertical & horizontal coupling, timing, CRT & integrated circuitry and electrostatic deflection circuits. Used in television, telecommunication, scientific and test equipment where extra high voltage, self healing property and long stable capacitor life are required. Constructed with Polypropylene film dielectric aluminum foil as electrode, copper-ply wire leads and epoxy resin coating, in non-inductive type. MFD/uF sizes available and $ Price List. Orange epoxy coated for superior heat, solvent and moisture resistance. Extra long radial leads for easy under chassis installation. Superb replacement for old paper/wax capacitors in tube radios, hi-fi and amplifiers, where high stability and high insulation resistance are desirable. Excellent stability for High Current / High Frequency / Temp. Compensation Applications. Constructed with metalized polyester film dielectric copper-ply wire leads and resin coating, in non-inductive type. MFD/uF sizes available and $ Price List. Dipped in Orange epoxy for superior heat, humidity and solvent resistance. Excellent for DC blocking, coupling, filtering and by-pass in tube radios, hi-fi, amps and communications equipment. Constructed with special series Metalized Polypropylene film dielectric, tinned copper wire leads and flame retardant epoxy resin coating, in non-inductive type. MFD/uF sizes available and $ Price List. High reliability and excellent long-term stability. Flame retardant orange dip epoxy coating. Space saving compact size and extra long leads for easy under chassis installation. Ideal for high frequency, high pulse circuits. Great as buffer capacitor re old tube car radios. Construction: Premium grade metallized polypropylene film dielectric with tinned pure copper axial leads. Very low dielectric absorption factor, very low dissipation factor, very low ESR and very low inductance. MFD/uF sizes available and $ Price List. Excellent handling of high current audio pulses. Straight long axial leads for hand wired or circuit board applications. All sizes +/-5% tolerance and precision 1% for select sizes. Made by ISO 9001:2000:14001:2004 certified manufacturer. For use in high-end audio applications (loudspeakers, amplifiers, coupling, cross-over, power supply, etc. 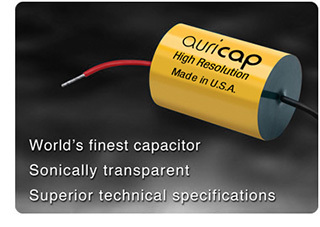 Auricap .... considered by many Audiophiles as "the best capacitor money can buy". Construction: Auricaps are made in the United States with the very best precision wound metalized polypropylene film with extended foil (non-inductive) construction. Special care is taken to insure industry leading ESR values. Applications: High end Audiophile uses include: signal coupling, loudspeaker crossover apps, power supply filtering & decoupling, filtering, bypassing and power factor correction. If you are restoring antique tube radios ... you need not use these audiophile capacitors. Our other lines of film capacitors are perfect for vintage tube radios and are much more economical than audiophile capacitors. In addition to the traditional Auricap audiophile capacitor (pictured at left) and its successor the Auricap XO, we have in stock the unique R version which has solid tinned copper leads that exit from the "periphery" of the Auricap body (see picture above). Leads: Auricap and Auricap XO use "stranded" hook-up leads. Auricap leads are made of polished, stranded High Purity Oxygen Free Copper with XLPE insulation. The Auricap XO uses insulated OHNO mono crystal leads. The R version has "solid" tinned copper leads. Although some fellows refer to the R version as radial, they are actually tubular axial (body is same as Auricap) but with solid leads and unique lead location which makes the R version ideal for circuit board and/or hand wired applications. We provide free red and black heat-shrink with the unique R version Auricap capacitors. Manufactured from selected Indian ruby muscovite having optimum electrical characteristics. Copper-clad steel leads finished with a solder coating for excellent solderability. Epoxy dipped for superior heat, moisture, vibration and solvent resistance. Most pF sizes at 500 Volts and 1000 Volts. For use where high reliability and capacitance stability are required, such as in tuning/oscillator circuits, DC voltage blocking, high frequency, logic and transmission circuits and filters. Long 35mm radial leads for easy under chassis installation. Capacitance tolerance of +/- 5% for 500V and 1000V. Wide operating temperature range: -55 to +150C at full rated voltage. Available in large selection of pF(MMFD) sizes from 1 pF to 5000 pF, including "hard to find pre-WWII mmfd sizes for tube electronics restorations. Constructed of duPont patented MYLAR Polyester Film with epoxy dip coating. Mylar Film Capacitor "Bargain Bin". 400 or 630 Volts available. Epoxy dipped for superior heat, moisture and solvent resistance. Long 24mm radial leads for easy under chassis installation. Capacitance tolerance of +/- 10%. Available in the most often needed MDF/uF sizes for tube radios. Made by ISO 9002 & 9001 certified manufacturer / OEM supplier with major customers: CDE, Sony, National, Canon, APC, LG, LEO, Bosch, B&D, Askey and HP. Construction: Ceramic dielectric in disc shape with epoxy coating. MFD/uF sizes available and $ Price List. "General Purpose" type disc capacitor for coupling, bypass and filter applications. Conformably coated with epoxy for good durability. Compact size and long leads for easy installation. Economical replacement for paper/wax capacitors in tube radios where extra high voltage is required (all sizes 0.01uF through 0.047uF). Construction: Aluminum, vented and polarized with axial leads. MFD/uF sizes available and $ Price List.Also available in 160 volt and 450 volt Capacitor KITS . High quality new "fresh" stock miec capacitors. These E-caps are available in "hard to find" MDF/uF sizes (such as 2mfd, 4mfd, 8mfd, 16mfd, 20mfd, 30mfd, 40mfd, 50mfd, 80mfd, etc.) used by vintage tube radios. Capacitance tolerance of +/- 20%. Long axial leads and good solderability. Construction: Aluminum, vented and non-polarized (same a thing as bi-polar) with axial leads. Constructed with single end rubber seal for best reliablity againt vibration. Low tolerance and low dissipation to optimize audio applications. MFD/uF sizes available and $ Price List. Available at 100V. Higher V can be used to replace lower V.
High quality new "fresh" stock Richey MDIN(L) Non-Polar Electrolytic capacitors. Available at 1uF, 1.5uF, 2.2uF, 3.3uF, 4.7uF, 6.8uF, 10uF, 15uF, 22uF, 33uF, 47uF, 68uF, 100uF, 150uF and 220uF. Capacitance tolerance 10% (1KHZ 20C). Dissipation Factor is 10% (1KHZ 20C). Long Tinned CP wire axial leads. Construction: Aluminum with long radial leads. Polarized and vented. MFD/uF sizes available and $ Price List.Also available in 160 Volt and 450 Volt Capacitor KITS . Long radial leads for easy under chassis installation. High quality new (fresh) capacitors. Construction: Clamp Mount (dual-section) Can with solder lugs for hand wired circuits. MFD/uF sizes available and $ Price List. Solder lug connections for had wired circuits. High quality new (factory fresh) capacitors. Construction: Clamp Mount Can with solder tags for hand wired circuits. "Copper" (with tin plating) solder lugs for top performance in audio applications. Tin plating over "copper" lugs to protect base metal from oxidation, thus preserving its solderability. MFD/uF sizes available and $ Price List. High Working Voltage at 500 Volts for filter capacitor applications. Tin plated copper solder lugs. High quality, brand new capacitors. Construction: Ceramic dielectric in disc shape with epoxy resin coating. Long 27mm radial leads. MFD/uF sizes available and $ Price List. Ideal for both "across-the-line" and "line bypass" purposes where high steady AC voltage exists. 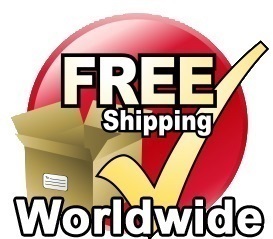 Safety Approved by UL (USA), CSA (Canada), SEMCO, SEV, FIMCO, NEMCO, DEMCO & VDE. Rated at 250 volts AC. Test voltage 2500 volts AC for 1 minute. Improves the reliability and safety of tube radios/amps/Hi-Fi's,TV's/test instruments. Construction: Metalized polypropylene film. Long 30mm tinned copper leads. Plastic case, epoxy resin sealed in non-inductive type. MFD/uF sizes available and $ Price List. Ideal for "across-the-line" line filter applications where high AC voltage exists. Safety Approved by UL (USA), CSA (Canada), SEMCO, SEV, FIMCO, NEMCO, DEMCO, VDE, CE and CQC. Rated at 250 volts AC for USA and Canada. Rated 275 VAC for Europe, China and world-wide. Test voltage 1185 volts DC for 1 minute (2000 VDC 1 second). Can improve tube radio/hi-fi/amp/TV performance via reduced interference thanks to noise interference suppression characteristics of these Class X2 Film safety capacitors. Available in the mfd sizes needed for tube electronic restorations: 0.005 mfd, 0.01 mfd, 0.015 mfd, 0.02 mfd, 0.05 mfd, 0.1 mfd and 0.25 mfd. Construction: Metalized polyester film (non-inductive type). Long 20mm tinned copper leads. Flame-retardant plastic case / epoxy resin sealed. MFD/uF sizes available and $ Price List. Ideal for "line-to-ground" line filter applications where high AC voltage exists. Also idea as "antenna-coupling" capacitor. Rated at 250 volts AC for USA, Canada and world-wide use. Test voltage 1500 volts AC for 1 full minute. Improve tube radio/hi-fi/amp/TV performance via reduced interference thanks to noise interference suppression characteristics of Class Y2 Film safety capacitors. Available in the mfd sizes used in tube electronics: 0.0047uF, 0.01uF, 0.015uF, 0.02uF, 0.033uF , 0.047uF and 0.1uF. Constructed of premium quality (PSA) Polystyrene Film dielectric aluminum foil electrode. Long axial tinned copper leads (ideal for hand wired circuits). MMFD/pF sizes available and $ Price List. Long time favorite capacitor of audiophiles and high-end audio manufacturers. High stability of capacitance and DF vs temperature and frequency. Available in all sizes 10pF through 10000pF. Ideal for use in: tuner & equalization circuits; commercial, industrial & measuring instruments; critical analog circuits; filters, tuned, integrators & sample-and-hold circuits; IF transformers; pulse networks; analogue & digital computing circuits and critical timing circuits such as VCO (voltage-controlled oscillators) and VCF (voltage-controlled filters). LIMITATION ON LIABILITY - David Cantelon (JustRadios) shall not be liable for any indirect or consequential damages including personal injury or loss of income, arising out of the purchase or use of a product listed in our website or catalog. In no event shall our liability exceed the price of the original, unaltered product. This page was last updated June 2018.